A SENIOR BARRISTER who challenged garda whistleblower Maurice McCabe at the Commission of Investigation into allegations of garda malpractice has said his conscience is clear. Colm Smyth SC and two junior barristers represented former Garda Commissioner Noirin O’Sullivan and certain senior officers at the 2015 O’Higgins commission of investigation into complaints about garda conduct in the Cavan Monaghan division. The Charleton tribunal is examining whether unjustified grounds were inappropriately relied upon by the former commissioner to discredit Sergeant McCabe at the commission. Smyth was cross-examined on behalf of Sergeant McCabe by Michael McDowell SC, who asked if it was wrong to question Sergeant McCabe’s motivation in credibility at the private hearings. “I had a duty to defend the interests of my client, regardless of the consequences for myself. You are bound by the same duty,” Smyth said. He said that if he was asked would he do it again, yes he would, as he would still have to defend his clients. “My conscience will remain clear,” Smyth said. Smyth said he did not like “military terms” such as “assault” and “assail” to describe his questions at the commission, as the media would report he had attacked Sergeant McCabe. He said he had “probed” the sergeant’s evidence. Smyth said he put the case he was asked to by the garda commissioner, who asked him to test the truth of Sergeant McCabe’s allegations. McDowell asked if a letter drafted by the legal team handed to the commission on 18 May 2015, setting out the commissioner’s case was drafted strictly in accordance with instructions. “As far as I’m concerned we did what we did within the instructions,” Smyth said. Smyth said he regretted that he had not seen reports and notes from an August 2008 meeting between Sergeant McCabe and Superintendent Noel Cunningham before the letter was drafted. The letter contained an inaccurate account of the meeting. Smyth said that notes made by Superintendent Cunningham which were also handed into the commission were compatible with a transcript of the meeting recorded by Sergeant McCabe. Smyth said he hoped he was “in no way rude or unpleasant to Sergeant McCabe” at the commission. He said sometimes people got “caught up in the drama of the moment” and in those circumstances, Judge O’Higgins as the referee would be expected to step in and “give a rap on the knuckles”. Smyth said he did not ever recall getting a rap on the knuckles. “I will accept that there were a number of occasions where Sergeant McCabe became visibly upset, but I will not accept it was anything I said,” Smyth said. He said he appreciated that the sergeant was under a lot of stress at the time. “It was never my intention to cause upset to him by any question,” Mr Smyth said. McDowell said that the Byrne-McGinn report of an internal garda inquiry had provided a framework and should be seen by his client. In an introduction giving background information, Sergeant McCabe was described as having “a level of paranoia”. Smyth said he never saw the Byrne-McGinn report, and considered it history. He said he was dealing with a more recent report by barrister Sean Guerin SC. He said he never observed any ill-will or spite or hostility to Sergeant McCabe in consultations with his clients. Smyth said that at a meeting with Garda Commissioner Noirin O’Sullivan, before she gave evidence to the Commission in November 2015, he anticipated that she might be challenged on her evidence by McDowell. “You said you would question her and she would not enjoy the experience,” Mr Smyth said to McDowell. “We had to inform her of this impending doom, and put her in the picture as to what the likely questions would be,” he added. Later, Michael MacNamee BL told the tribunal he never read the Byrne-McGinn report. He received a copy of the report around June 2015, and brought it home long with other boxes of documents. “To be frank I never opened it, I never read it,” MacNamee said. MacNamee said individual officers had been able to identify themselves from code names used in a later report by barrister Sean Guerin SC, and knew that they could face allegations at the O’Higgins Commission. He said O’Sullivan did not give instructions in relation to these officers because she did not have direct factual knowledge of the issues, as she was not directly involved. MacNamee said that he received instructions from the commissioner to explore background issues. The legal team also received specific instructions from three particular clients. After arguments at the commission between McCabe and the legal teams for the commissioner on 15 May 2015, MacNamee drafted a document outlining the case being put by the team over the following weekend. The letter, handed in to the Commission on Monday 18 May 2015, stated in error that at a 2008 meeting with Superintendent Noel Cunningham, Sergeant McCabe said he made allegations against a senior officer, then Superintendent Michael Clancy, to force him to release directions from the DPP which had exonerated him following an investigation into a child abuse allegation. The tribunal also heard that a report which Superintendent Cunningham had written in 2008, which gave an accurate account of the meeting with Sergeant McCabe, was also handed in to the Commission at the same time. MacNamee said he was disappointed when the error came to light a month later. Tribunal chairman Mr Justice Peter Charleton said that Justice O’Higgins had received two contradictory documents. 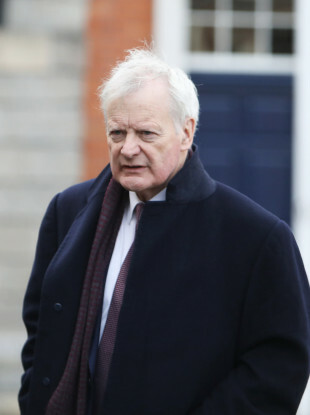 Michael McDowell SC, asked whether the document that MacNamee had submitted accurately reflected the instructions that the legal team had received. The tribunal chairman said that this was the subject to legal privileges which had not been waived, and the question should not be asked. Garret Byrne BL, meanwhile, said he sent an email to the garda commissioner’s liaison Chief Superintendent Fergus Healy on Friday 15 May which stated the legal team team felt that “it will become necessary to put to Sgt McCabe certain background issues which touch upon and concern the history of his dealings with members of Garda management”. Byrne said the email was drafted by hand by both himself and MacNamee, and then he typed it up on his computer. Email “O'Sullivan barrister who challenged McCabe says his 'conscience is clear'”. Feedback on “O'Sullivan barrister who challenged McCabe says his 'conscience is clear'”.